HP’s device-as-a-service program, announced Thursday, gives companies the option of buying PCs, support and services via a monthly charge instead of paying for everything upfront. With many businesses waiting five or six years to upgrade PCs, the new plan could push users to refresh hardware at a faster pace. The offering is similar to the software-as-a-service model popularized by software companies. It’s like renting a PC and paying in installments, but with added benefits. It’s targeted mostly at businesses that deploy PCs, handsets, thin clients, monitors and other devices. The offering has some advantages. If you’re a business owner, you don’t have to worry about upgrading or managing a fleet of PCs. That’s all handled by HP, and PCs will be upgraded in a timely manner. HP will also deploy software upgrades. The hardware budget becomes more predictable with a specific amount reflected in the monthly fee to HP. By reducing the need for IT staff to support smartphones, tablets and PCs, it’s possible to save money—at least theoretically. The issue is that you’re also handing over control of PCs and devices to HP, and so lose some flexibility. For those who love to hunt for discounts and do a good job of it, the service model may turn out to be more expensive in the long run. Companies, however, don’t feel the need to upgrade PCs as quickly as they used to, and with more work being done on phones and tablets, PC shipments are declining. Even seven- and eight-year-old PCs are able to run Windows 10 and basic applications. 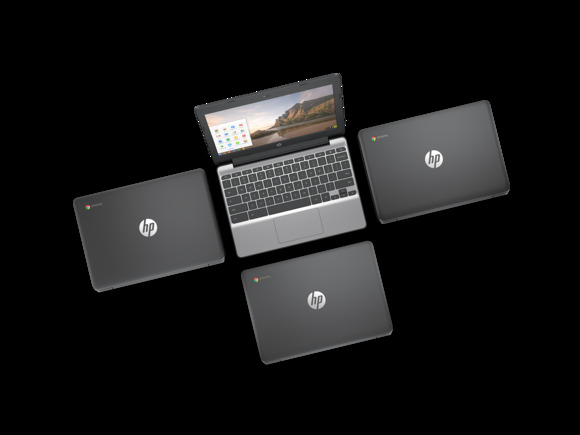 With the PC replacement cycle slowing, the device-as-a-service model is one way for HP to gain some control over PC upgrades and smooth out revenue over time, while giving businesses predictable IT costs.